If you’re looking for a quick fix to your chicken wing cravings but don’t want to spend time at the oven or money at a restaurant, try the microwave, which will cook your wings in about 10 minutes depending on how many you’re cooking. If you like your wings on the crispy outside, though, you’ll also have to use the broiler in your oven. 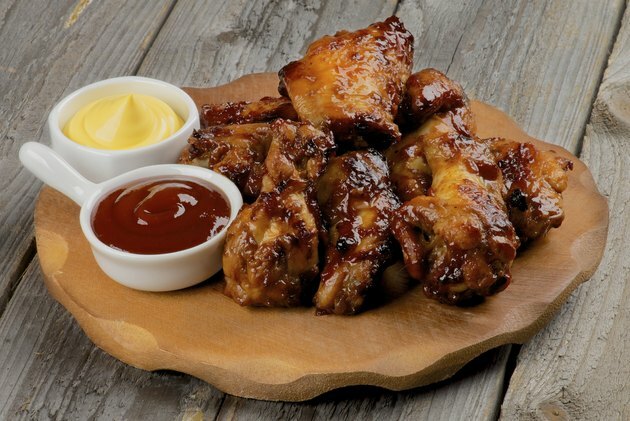 To save even more time, buy precooked wings, which you can heat in the microwave in under five minutes. Place up to eight wings on a microwaveable dish, allowing at least ½-inch of space between them. Microwave wings on high for up to five minutes and check halfway through to see if the middle is no longer pink by slicing into the middle with a knife and pulling the sides apart. Once there’s no more pink, they’re done. If you do still see pink, microwave for two more minutes and check a different piece for a pink center. Continue until they're cooked. Remove wings from the microwave and place in a mixing bowl. Add your favorite sauce, such as buffalo or barbecue sauce, to the bowl and stir with a spoon to coat each wing with sauce. Lay wings on a broiling pan and place the pan in a hot oven no more than 4 inches away from the heat. Cook the wings under the broiler for up to 10 minutes, turning every few minutes with tongs and adding more sauce with a sauce brush when you turn them. Remove the wings from heat and let the chicken cool for 10 minutes before serving. Open the package of fully-cooked wings. Spread up to six wings on a microwavable plate, keeping them at least 1/2-inch apart. Cook wings on high in the microwave for up to 3 ½ minutes, or as directed on the package instructions, until heated thoroughly. To check for doneness, cut with a fork and check to see if the center of the wing is hot. Remove the wings from the microwave and let them sit and cool for up to three minutes. 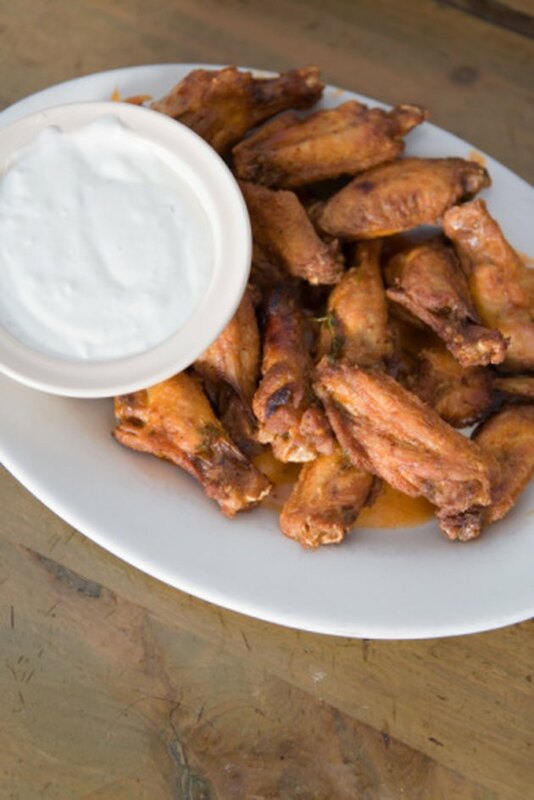 Serve with your favorite wing dip such as blue cheese or ranch dressing. How Many Calories Are in Chicken Cordon Bleu?